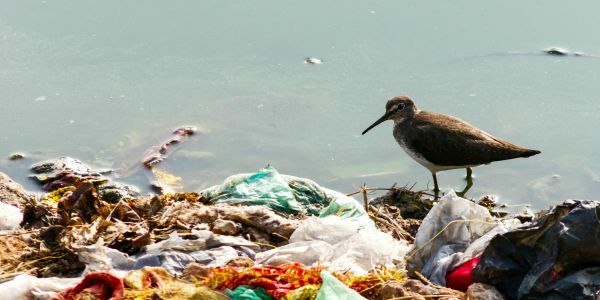 petition: Ban Plastic Bags in New York! Ban Plastic Bags in New York! Governor Cuomo seems to be warming up to a statewide ban on plastic bags, which is great news. It's time for New York to become a true leader in the fight for our planet, and banning plastic bags is a crucial step towards that goal. Please sign this petition urging New York to say yes to a statewide plastic bag ban! Plastic bags, which are not biodegradable, pose a serious environmental risk. They pollute our land and water, hurting animals, birds, and marine life who mistake broken down plastic fragments for food or get tangled up and suffocated inside plastic bag litter. Plastic bags are also a huge contributor to climate change since they are mostly made of polypropylene, a material made from petroleum, which creates greenhouse gas emissions. There are many alternatives to single-use plastic bags, such as reusable cloth bags or bags made from recycled products. There's no good reason to depend on plastic bags anymore. A spokesperson for Governor Cuomo said that, "It's clear that we need to address the real environmental concerns caused by the proliferation of plastic bags, and a ban is one of the options we're reviewing." The truth is, banning plastic bags is the only option. Sign now and tell Governor Cuomo and the New York Legislature to pass a plastic bag ban now!